07:30 AM - 08h00 AM: Our tour guide comes to meets you at your hotel for pick-up. Proceed to Minh Mang Tomb. It was said to be the most majestic of all of the Royal Tombs. Renowned for its architecture, which harmoniously blends into the nature surroundings. Bus comes to Khai Dinh tomb. Unlike Hue’s other tombs, being a synthesis of Vietnamese and European elements. Even the stone faces of the mandarin honor guards are endowed with a mixture of Vietnamese and European features. Enjoy traditional martial art Van An. Bus arrive Tu Duc Tomb, come in to visit the unique harmonious tomb design which was constructed from 1864 to 1867. The tomb was used for both before and after his death. 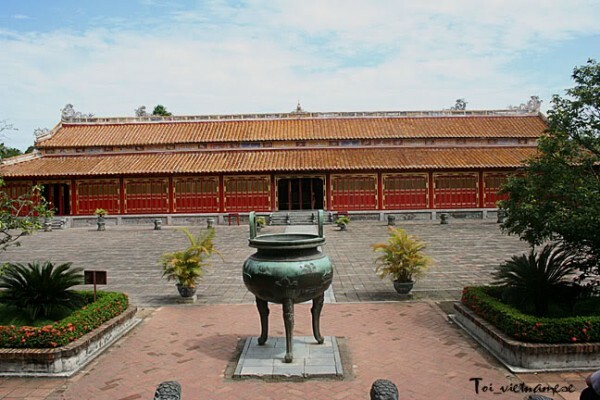 Bus takes you to Thien Mu pagoda which built on a hillock overlooking the. 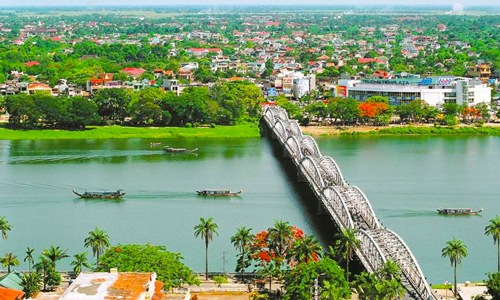 Perfume river, this pagoda is an icon of Vietnam and the symbol of Hue city. Cruise the beautiful perfume river by dragon boat viewing daily life along the way. 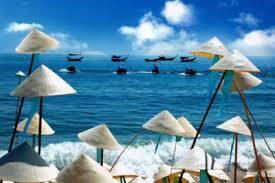 Visit some fishing village and do not miss viewing sunset on the river. Around 8:30 Am. 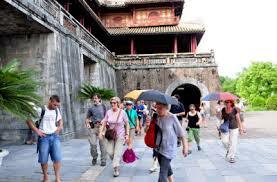 Tour guide and bus come and pick up you from your hotel for visiting the Imperial Citadel - The grand palace of the last dynasty of Nguyen and Goddess-heavenly pagoda. Tour finshes around 13:00.